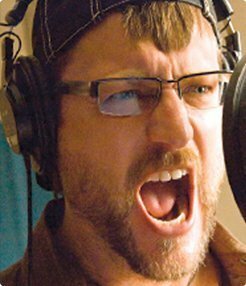 Travel deep into the world of Voiceover with one of the most prolific Voice Actors on the Planet. Each month you’ll have a chance to follow Steve across the country and around the world, get a sneak peek into his sessions and go backstage with him at Conventions. You’ll also get to see some of the folks that make your characters come to life, from the cast and crew to the interns working the front desk! You’ll get monthly updates with tips for getting and keeping the gig, and learn what to do and what NOT to do if you want a successful career in the voiceover business. We’ll also expand on the previous month’s webinar teachings and answer “Questions of the Month” from a few lucky subscribers.